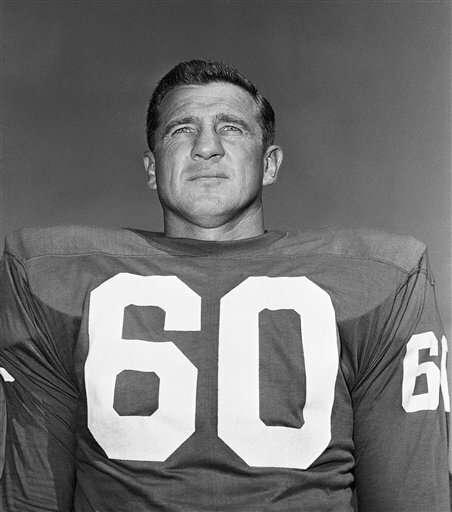 To older football fans, Chuck Bednarik was “Concrete Charlie,” the last of the two-way pros who played on two championship teams with the Philadelphia Eagles and hit Frank Gifford so hard in 1960 that the New York Giants’ superstar didn’t play again until 1962. But before all that, even before a stint at the University of Pennsylvania so successful that the award for the best defensive player in college football still bears his name, Bednarik was an 18-year-old waist gunner with the 467th Bomb Group, flying missions over Europe during World War II. My last mission was on April 23, 1945, over a city called Sweisel. … When we got back to England, I got out and kissed the plane, kissed the ground and announced that I was never going to fly again. Never. Of course, as it all turned out, all I did was fly as a football player and now in my travels. His time in the contested sky over Germany — with a view likely similar to this one — earned him an Air Medal with four oak leaf clusters and an European-African-Middle Eastern Campaign Medal with four battle stars, according to an 8th Air Force history website (his book says he earned five battle stars). He ended up back in California, then transferred to North Carolina when he learned of an opportunity to play on an Army-sponsored football squad. There, the two-way player who’d make the NFL Hall of Fame in 1967 would fail to make the team, albeit a team stocked with established talent. 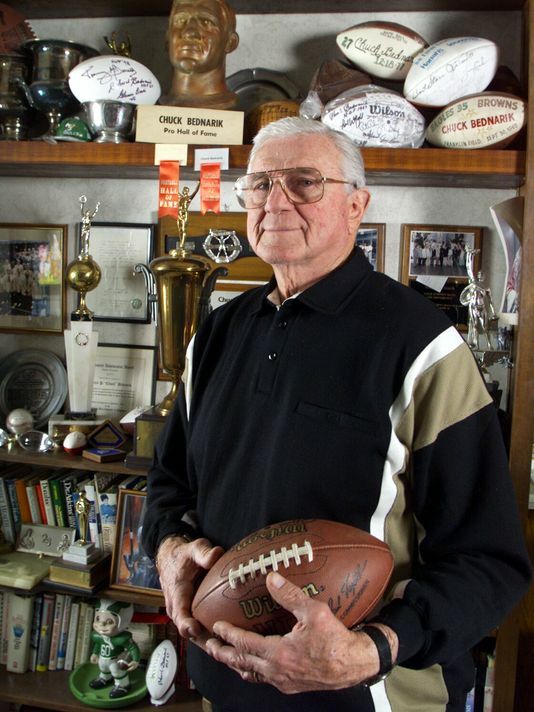 Bednarik was discharged shortly after the war ended, used his GI Bill benefits to attend Penn, and headed into NFL history. Read more about the football legend here and here.